COMMENTS: These are great for setting up impulse displays at the market where I sell. Pumpkin lip balms can be placed close to pumpkin soap, not only with all the other lip balms - these boxes are small enough for that, but large enough for wholesale/retail placements too. Perfect. COMMENTS: These boxes are economical, set up easily, store one dozen lip balm tubes, and can be dressed up or left plain. COMMENTS: These are ideal to transport and display lip balms at craft shows. COMMENTS: I love this lip balm display. It works great! I will purchase more of them. COMMENTS: Nice little boxes. Easy and fast to assemble. I especially like that after displaying them, you just flip the flap over, and voila... Transport them with ease. COMMENTS: Great for displaying lip balms in retail settings! Arrives flat and easy to fold. Highly recommended if you need to have a great display! COMMENTS: I used these at a craft fair to display my lip balms. Stick a label on the top and you are set. Worked great. "Afforable and Pleasing to the eye!" COMMENTS: I purchased this to display my lip balms at the fairs I attend. It is super duper easy to put together and looks excellent. For the price you pay, it doent look cheap or rushed, it gives a nice professional feel whereveryou put it. COMMENTS: Like most others, I ordered 4 of these to display my lip balms. They are very easy to put together (they come shipped flat) & literally only takes a couple of seconds. 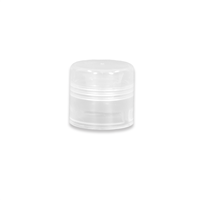 The arched top allows me to customize the display by just adding a label on the arched part to describe each lip balm. Will keep this item as my routine display for all my lip balms. COMMENTS: Great for lip balm displays. "You need one if you sell!" COMMENTS: This box is super! Easy to store and keeps everything neat on the table. A must for sellers! COMMENTS: This box is great for holding 0.15 size lip balm tubes. It holds 12 0.15 size lip balm tubes at one time. It is great for markets where you don't have a lot of space. It also works great if your products are in a brick and motar store to display you lip balms near the check out. I have bough several and will continue to use them! • The brown natural color. • Easy to put together. • I would like a larger one also. COMMENTS: This is just a simple flat pack box that works great for my wholesale orders. Easy to ship and shops have a perfect display when they receive it. COMMENTS: This display is great and easy to use, works well for those craft shows where you simply lack space because it is compact. COMMENTS: I bought this display box to have a nicer presentation for the lip balms and they work perfectly. Will buy more for all the different flavors. COMMENTS: These displays are awesome! They are a cost effective way to have a very professional looking display. Also, I love that I can just fold the top down and secure with a rubber band for transport. I don't have to empty my display to travel to shows! COMMENTS: These work great for displaying lip balms in round tubes. COMMENTS: This box is good for the price. Not super sturdy and won't hold up to much abuse but, if you are nice to them they should last for a bit of traveling. I am ordering more because of the price and they are perfect to take you balms to the shop in. • nothing as it would increase the cost. "Small but serves its purpose"
COMMENTS: This display is little but comes together nicely. Expect to have to decorate it as it looks plain without anything on it. "Lip Balm Tube Display Box"
COMMENTS: Quick and easy assembly! Plenty of room on the marquee to add your logo/lable. COMMENTS: doesn't folds perfectly but still holds the tubes really well. COMMENTS: This is a really nice display at a very reasonable price. I use it to hold lip balms primarily. But it also fits 1 oz. bottles of beard oil very nicely (5-6 of them). Easy to assemble. COMMENTS: I ordered these to use with my Lip Balms, to keep them separated from each other. The box was not hard to put together but it will not stay together if moved to many times so I taped it all up to save the Display! I think it can be made a little more sturdy but for the money it is a worthy product. COMMENTS: It's great for storing chapstick tubes. It'll also come in handy when one of my customers buying 12 at a time, I just give her the whole box. The lid doesn't stay closed very well so I put a sticker on it to keep it shut. Should make a couple colors of it though. WSP Response: Thank you for your suggestion we will forward this on to our purchasing department. COMMENTS: I am so glad I purchased these boxes. COMMENTS: I absolutely love these boxes. They are easy to use and look great! COMMENTS: I love these display boxes! They are very sturdy and can be refilled easily without them falling apart. Love these. COMMENTS: the boxes look great with my product in them. COMMENTS: These displays are the perfect size for storing lip balms and assemble easily for retail marketing. The boxes pop together super easy. Made a customized label to attach to the display box to display my product professionally. Will definitely order more. "Inexpensive way to display lip balm professionally"
COMMENTS: Got these for a local craft fair. Love them! It lets me display my lip balm in a professional way without breaking the bank. Fits 12 tubes easily. COMMENTS: These boxes are great for displaying lip balms......my lip balm sales tripled after displaying in these boxes, they give a very professional look. COMMENTS: Add a professional touch to your displays with this box. If you do it right the rounded portion comes out to act as a lid to store and transport your lip tubes. COMMENTS: These are easy to assemble, and I include one to each of my retailers. Not great for long time use, but they'll work! COMMENTS: I definitely recommend this Lip Tube Arched Display Box. 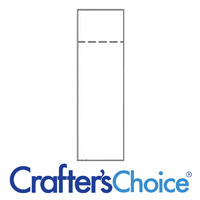 You can use this to display your creative lip balms for events, flea markets etc. I love this!!
" Lip Tube Arched Display Box - (NATURAL COLOR) "
COMMENTS: This display box is a bit flimsy and does feel as sturdy as the white display boxes. I bought both of them, and this one is not as nice as the white one. Will probably not buy this one again. • Better construction and type. COMMENTS: I would have never thought something under $1.00 would help my lip balm sales increase so much! I used my logo stamp on the back stand up part, and it looks so nice on my table at the Farmers Markets, Craft Fairs, and Salons where I sell my products! "Great product with many uses"
COMMENTS: Not just for lip balms. Great display for any small items like tins of lotion bars or guest soaps. COMMENTS: I was looking all over for these little boxes! The natural fits the feel I go for at my farmer's market. It can hold more then 12, but it just won't close. I'll be buying 50 next time, just to have extra in case any get wet or I need to store extra tubes! COMMENTS: A bit challenging to get together at first, but they are fabulous once they are together! COMMENTS: Affordable, easy to use. Works better with circular tubes than with oval tubes. • second version for oval tubes. "Works great for hold my chap stick"
COMMENTS: This little holder that you put together yourself works great for holding my chap sticks. Enough room on front to put your logo /sign. Seems to hold up well enough. Cost is great so more than enough to buy spares. COMMENTS: This product display does what it's supposed to do: holds lip balm tubes. I have bought several for different flavors. COMMENTS: Makes products look snazzy. COMMENTS: Works great for displaying my Chapstick in a store! COMMENTS: I thought this was great for a professional display. COMMENTS: This is a somewhat sturdy box. It is ok to display lip balms but you cannot fit too many in it. It is not that great looking. I used it a couple of times and now I have replaced it with something else. WSP Response: The description states that it holds 12 standard lip tubes. We also offer the same box in white. You can add your company name, product info, etc. on the top flap. "A perfect fit for my lip balms"
COMMENTS: I label my lip balms with brown kraft paper colored labels and it's a perfect match! They look great in this display box! The boxes are sturdy and easy to assemble! COMMENTS: The boxes are professional looking, easy to assemble, and are the perfect size. The area above for the label is great, it's big enough for a label printed off the computer. The price was reasonable as well. COMMENTS: These boxes are great for storing and displaying lip balms. The box has a place to put a label so you can proudly display your logo and a little about the lip balms - description, ingredients, etc. 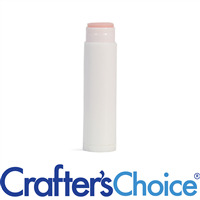 COMMENTS: These are perfect for displaying lip balm tubes at a price that won't break the bank. Cardboard is of a sturdy and durable quality. Ships flat but easy to assemble, just fold a few sides in and you're ready to go. You can add your own label to the top area to describe your wares. Box can be left natural or covered with card stock that matches your business theme. COMMENTS: I love these! They are very sturdy and professional! Highly recommended! COMMENTS: This holds my lip balms well and makes for a cute display. It seems a little flimsy so I'm not sure how it will hold up after some time, but it is working well for now. "Great way to display my lip balms"
COMMENTS: Liked the shape and color but was expecting a larger box. If I put this on a display table it will be visually lost. COMMENTS: A great way to display lip balms in stores and at shows! COMMENTS: I use these boxes to display lip balm & lip scrub duos in, as well as under eye serum.They work perfectly for display and they are great when I have to pack up at the end of a show - they store well. COMMENTS: These make my displays very professional. COMMENTS: Very nice display box. "I was happy with these boxes. Perfect packaging!" COMMENTS: I was happy with this purchase for holding a set of lip balms for display. They are the perfect item to package a number of lip balms when the customer wants to purchase a whole set at once. My label can be stuck to the upright portion on the box for display so that the ingredients and main information regarding the product is easily read. "Perfect way to display my Lip Balms"
COMMENTS: These look wonderful on my table and make it so much easier to keep things organized. I love the natural look, and I am sure I will order again as needed. COMMENTS: Looks great with our labels and holds 12 Lip balms, these will look great on display this year, Im pleased! COMMENTS: I love these little boxes, they look nice & get the job done. I fill them with lip balms & put them out for sale! "Perfect to keep balm tubes from rolling around!" COMMENTS: Folds up quick and tight, perfect for standard size lip tubes! COMMENTS: This box is really nice for transporting and then displaying your lip balm tubes. I've also used it for lip balm slide tins. It's very easy to assemble and it seems to be sturdy. I've carried mine back and forth to work in a big bag with other stuff and it stays closed, hasn't torn or come apart, and it still looks nice when open on display! I love the price too. So far I haven't had a need to buy the 50, but I might since I've been producing more and more varieties of lip balm and I might just store them in these boxes too instead of just in zip lock baggies. I just wish this came in bigger sizes too. COMMENTS: These are a great value and easy to put together. I get quite a few compliments on my displays and my lip balm sales did increase after I started using these. COMMENTS: I bought these when they were on sale. I desperately needed something to do with my lip balms when I sold them at my local farm market...these were the answer! They come flat so they are easy to store until use...and even easier to fold into shape. They have enough room to make a label with price for the display area. If they were to get ruined or dirty, I don't feel bad tossing it out since they are a great price. COMMENTS: Very easy to put together and adds a organized look to my products. Excellent price. • Cheap price , great product . • Labels are easy to add . COMMENTS: Easy to put together. Professional display and light weight. Great for traveling to shows. Need 3 more. 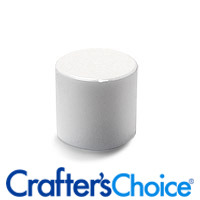 COMMENTS: These are a great price and I love them for my table displays at markets. I use them for lip balms and for purse size perfumes. "Perfect for displaying my lip balms!" COMMENTS: My husband created a cute curved label for the box so it all came together perfectly for wholesale orders and such. Much better price than anywhere I've tried also. "Great Product Display For Lip Balms"
COMMENTS: This is the best and most cost effective display for your lip balms. I decorated my display box by adding my logo to the arch and the front of the box. It gave it a very professional look to it. Also, another option would be to add chalk paint to the arch and hand write in your company's name, the product, and price info too. COMMENTS: The boxes ship flat in a bag and fold together really easily. They have an arch that makes labeling a challenge. I decided to fold it back and tape it down. By folding the flap I have created a little window that allows you to see the tubes inside. I also use a rubber band to hold the box closed during shipping. COMMENTS: I set these all over my two tables. They are perfect for holding my balms! I love the look! "Perfect for my Lip Balms! " COMMENTS: These boxes display my lip balms very nicely. I use them in all my stores and at gift shows. They hold up well over time and I reuse them for many different products. My customers can find what they are looking for easily. COMMENTS: Absolutely cannot have enough of these- very affordable and with 35+ flavours, much needed!! • More box sizes. Larger! "Easy to fold, work well"
COMMENTS: These are a breeze to fold up, and hold up well. They've been through many markets and still look great. Easy to label, and folks really like seeing the lip balms all laid out so nicely. Would purchase again and recommend those looking for an inexpensive way to showcase lip balms! COMMENTS: LOVE the boxes, but getting a professional looking label was a bit of a challenge. I found Avery 48395 will fit vertically and I fold the excess behind the arch to give it a clean professional look. COMMENTS: These boxes are great. I wish I could order just 4 or 5. "FANTASTIC - DOESN'T GET BETTER"
COMMENTS: WSP has done it again! It just doesn't get better than this. (1) Made in USA, (2) 100% recycled & (3) great price. Easy to put together, SWEET BOX. Thanks so much WSP! COMMENTS: Very cute, I was very excited to see it together but I didn't pay attention and this doesn't fit slim tubes! But the box is very cute, easy to assemble, and seems pretty sturdy. "Hello, Could you please tell me the dimensions of the back part of the display when it's put together (the tallest part)? Thank you." Staff Answer The back of the display measures 4 1/8" when open. "Would these work on the box for the lip tube display boxes? I would like to put my lip balm in the box with my label and then seal the entire box for delivery with shrink wrap. Thanks for your help!" Staff Answer No, these bags are too small to fit over the lip tube display boxes. I would recommend the 6x6 shrink wrap bags. "How many lip tubes will this hold if they are standing up instead of laying down?" Staff Answer If you prefer to stand up your lip tubes in this box, you can fit approximately 24 tubes in the display. I've tried to do this and it is extremely difficult to keep the tubes upright for long. the second someone takes out one tube the rest come tumbling down like dominoes! you are much better off paying just a little extra for more boxes and having them stable rather than picking up lip balm tubes off the floor every two seconds. especially at craft fairs people tend to lose interest in something that has fallen on the floor. "Hi, do the oval lip balm tubes fit in this box?" Staff Answer The oval lip tubes do fit in this box. If the lip tubes are laying down you can fit 10 tubes in the box. If the lip tubes are standing up you can fit about 20 tubes in the box. "Any tips on how to get a professional looking label on these?" I would use a round label for the arched area. or, use one cut in half for that area, and then a rectangle label below. good luck! We measured the square area to label the boxes for display. You can use any word processing program and just set your margins to the area you need.